Our guide to Charlotte will help you find the best budget hotels in Charlotte North Carolina. Though Charlotte dates from Revolutionary War times (it is named for King George III's wife, Queen Charlotte), its Uptown is distinctively New South, with gleaming skyscrapers. Uptown encompasses all of downtown Charlotte, its business and cultural heart and soul. It's also home to the government center and some residential neighborhoods. And public art is keeping pace with the city's growing skyline. Examples of this are the sculptures at the four corners of Trade and Tryon streets. Erected at Independence Square, they symbolize Charlotte's beginnings: a gold miner (commerce), a mill worker (the city's textile heritage), an African-American railroad builder (transportation), and a mother holding her baby aloft (the future). There are tons of great budget hotels in the city of Charlotte, our city guide will help you find the best budget hotels. You may have a hard time deciding what to do in Charlotte, but we make your decision easy. 10930 Park Rd, (704) 341-0929 - Extended Stay America is a budget hotel / motel / resort located in Charlotte NC. 11300 Texland Blvd, (704) 588-8488 - Super 8 Charlotte is a budget hotel / motel / resort located in Charlotte NC. 1415 Tom Hunter Rd, (704) 597-0470 - Economy Inn-Charlotte is a budget hotel / motel / resort located in Charlotte NC. 15735 John j Delaney Dr, (888) 897-0084 - Staybridge Suites Charlotte Ballantyne is a budget hotel / motel / resort located in Charlotte NC. 242 E Woodlawn Rd, (704) 525-5454 - Best Western Sterling Hotel & Suites is a budget hotel / motel / resort located in Charlotte NC. 2501 Sardis Rd N, (704) 845-2810 - Best Western Independence Hotel is a budget hotel / motel / resort located in Charlotte NC. 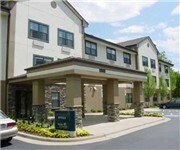 2770 Yorkmont Rd, (704) 357-0500 - Homewood Suites Charlotte Airport is a budget hotel / motel / resort located in Charlotte NC. 2950 Oak Lake Blvd, (704) 423-9931 - Hyatt Place-Charlotte Airport is a budget hotel / motel / resort located in Charlotte NC. 3055 Scott Futrell Dr, (704) 405-6061 - SpringHill Suites Charlotte Airport is a budget hotel / motel / resort located in Charlotte NC. 3127 Sloan Dr, (704) 392-1600 - La Quinta Inn Charlotte Airport North is a budget hotel / motel / resort located in Charlotte NC. 321 W Woodlawn Rd, (704) 394-4301 - Holiday Inn Charlotte-Billy Graham Parkway is a budget hotel / motel / resort located in Charlotte NC. 333 W Wt Harris Blvd, (704) 549-4888 - Courtyard Marriott Charlotte University Research Park is a budget hotel / motel / resort located in Charlotte NC. 404 S Mint St, (704) 340-4000 - Residence Inn Charlotte Uptown is a budget hotel / motel / resort located in Charlotte NC. There are plenty more budget hotels in Charlotte. See all budget hotels in Charlotte North Carolina.